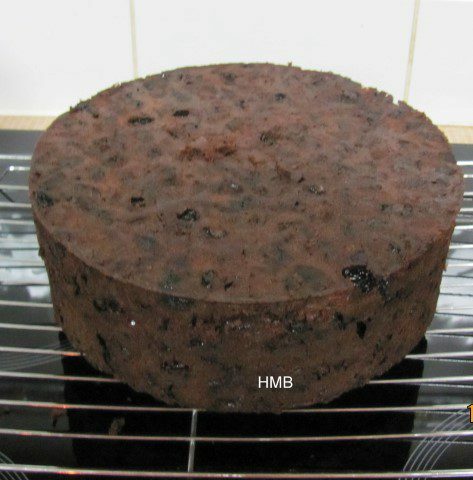 This fruit cake recipe will make 3 small thin 6 inch cakes, a large deep 8-9 inch cake, or 2 2litre domed cakes with leftovers for half a litre domed cake. The 6 inch cakes take between 1-2 hours to bake, the 8 inch takes around 3 hours to bake and the 2 litre domed ones take over 2 hours to bake. 6 Medium Eggs Beat in 1 at time to creamed butter and sugar. 2. Put the mix into a greased and lined tin 9 inch round or 8 inch square or whatever bowls or tins you wish to use. 4. Once cooked place the tin on a wire rack and leave to cool for at least 10 minutes this allows the cake to shrink and detach from the tin. 5. Then turn the cake out on wire rack and leave to fully cool. * I also place a water tray at the bottom of the oven to add moisture to the cake whilst baking. Tip: If your cake is browning on the top and not cooked in the middle then cover the top of the cake using a butter wrapper ensuring the brand name is facing you when you look at it. Note: The darker the brown sugar you use the darker the cake will appear to be, if you use light brown soft sugar the cake will be lighter in colour. This recipe will make 3 small 6 inch cakes and these take around 1-2 hours to cook. 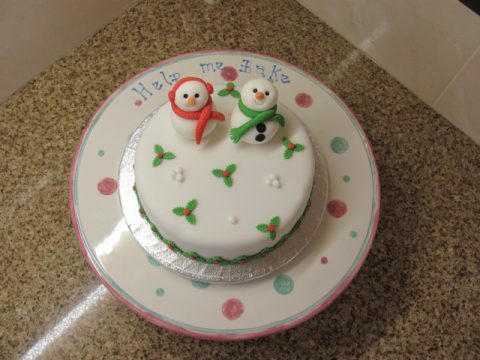 These can be used for Mini Christmas Cake presents. Today I made a 6 inch square cake and a 6 inch round cake using the above recipe. They took just under 2 hours to bake in lined tins on 150°C, I also used a water tray in the base of the oven to add extra moisture whilst baking.